On May 17, 2017, Deputy Attorney General Rod Rosenstein appointed Robert S. Mueller III to serve as Special Counsel for the United States Department of Justice. In High Noon, Marshal Will Kane faced death at the hands of four cold-blooded killers. And, on October 30, 2018, details emerged about a Right-wing plot to discredit the probe by falsely accusing Mueller of sexually abusing or harassing women. Then, on October 30, Jennifer Taub, a law professor at Vermont Law School, told The Atlantic that a man working for Surefire Intelligence, a private investigative agency, had offered to pay her if she could provide dirt on Mueller. She didn’t respond and forwarded the information to the Special Counsel’s office. Nor can Mueller, a lifelong Republican, count on protection from Republicans in the House and Senate. Almost universally, they have refused to speak out against threats by Trump to fire him or deputy Attorney General Rod Rosenstein. Or, more importantly, to take action to prevent or punish him for doing so. 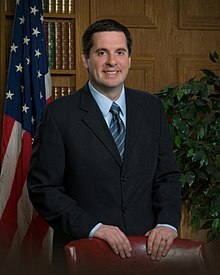 On April 17, 2018, Republican Senate Majority Leader Mitch McConnell said he would not allow legislation to protect Robert Mueller’s independent investigation into Russian subversion of the 2016 Presidential election to reach the Senate floor. “I’m the one who decides what we take to the floor. That’s my responsibility as majority leader. We’ll not be having this on the floor of the Senate,” the Kentucky Republican said in an interview on Fox News. “It would not be in the President’s interest to [fire Mueller] and I think he knows that,” said the Wisconsin Congressman. Why have so few Republicans dared to stand against Trump? #1: Because many House and Senate Republicans received millions of dollars in “campaign contributions” from Russian oligarchs who are answerable to Russian dictator Vladimir Putin. The following data comes from the Federal Elections Commission. One major Russian contributor is Len Blavatnik. During the 2015-16 election cycle, he proved one of the largest donors to GOP Political Action Committees (PACs). Blavatnik’s net worth is estimated at $20 billion. In 2016, he gave $6.35 million to GOP PACs. A total of $1.5 million to PACs associated with Rubio. $1 million to Trump’s Inaugural Committee. 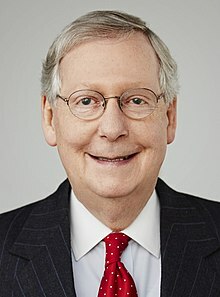 $1 million to McConnell’s Senate Leadership Fund. $3.5 million to a PAC associated with McConnell. $1.1 million to Unintimidated PAC, associated with Wisconsin Governor Scott Walker. $200,000 to the Arizona Grassroots Action PAC, associated with Arizona Senator John McCain. $250,000 to New Day for America PAC, associated with Ohio Governor John Kasich. $800,000 went to the Security is Strength PAC, associated with Senator Lindsey Graham. Another Russian oligarch, Alexander Shustorovich, contributed $1 million to Trump’s Inaugural Committee. A third oligarch, Andrew Intrater, contributed $250,000 to Trump’s Inaugural Committee. And a fourth, Simon Kukes, contributed a total of $283,000, much of it to the Trump Victory Fund. In “High Noon,” Marshal Will Kane faced death at the hands of four cold-blooded killers. And, on October 30, details emerged about a Right-wing plot to discredit the probe by falsely accusing Mueller of sexually abusing or harassing women. For more than a year, Democrats promised/threatened an upcoming “blue wave” aimed at the United States Senate and House of Representatives. And now, on November 6, the results are in: Democrats have taken control of the House of Representatives. But Republicans still hold control of the Senate. Republicans won the House in 2010. And, in 2014, they won control of the Senate. Meanwhile, behind-the-scenes, without fanfare, a 74-year-old man has assumed the burdens created when millions of racist, hate-filled Americans deliberately sent a Russian-backed egomaniac and would-be dictator to the White House. Like “Will Kane,” the embattled marshal played by Gary Cooper in “High Noon,” he is not a young man—born on August 7, 1944. And, like Cooper’s Will Kane, he is tall, gray-haired and tight-lipped. 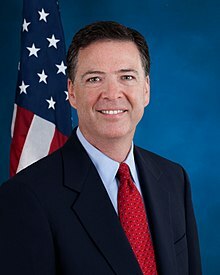 On May 17, 2017, he appointed Robert S. Mueller 111 to serve as Special Counsel for the United States Department of Justice. Indicted 19 people—including four former Trump campaign advisers. Obtained five guilty pleas—and the cooperation of all five defendants. At that point, the townspeople rush to embrace Kane and congratulate him. But he’s now seen them for the cowards they are and holds them in total contempt. 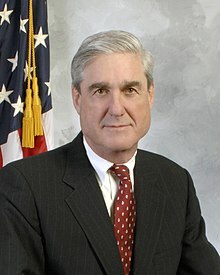 The difference between Robert Mueller, and the overwhelming majority of Republican Congressional members who have refused to support him, is this: Mueller, like a compass pointing True North, has always stayed faithful to that oath. In doing so, he is carrying on his shoulders the burdens created when millions of racist, hate-filled Americans deliberately sent a Russian-backed egomaniac and would-be dictator to the White House. On March 30, 2017, McConnell’s PAC accepted another $1 million from Blavatnik. This was just 10 days after former FBI Director James Comey testified before the House Intelligence Committee about Russia’s efforts to subvert the 2016 election.